Archie & Summer came into rescue in January 2014, due to a change in circumstances of their previous owner. 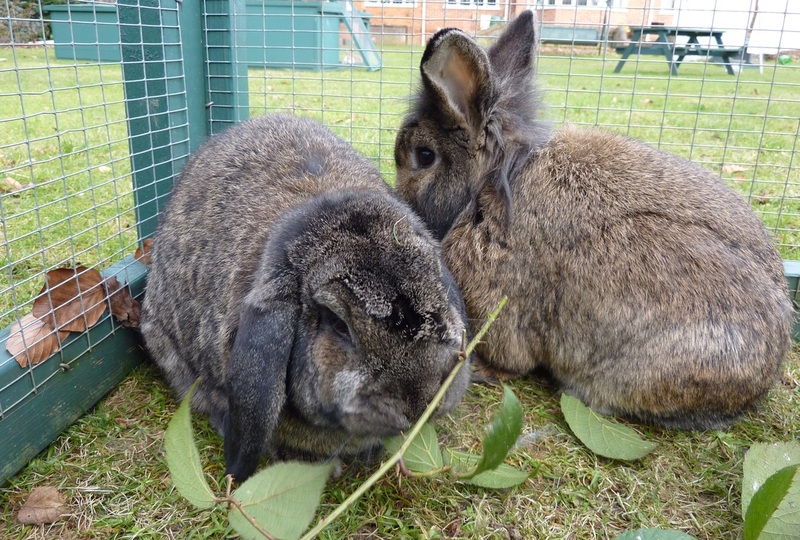 A slightly older bonded pair, both bunnies are slightly timid, but are easy to handle. Both are neutered, have up to date vaccinations & are microchipped. She is sweet natured but a little shy, will binky around the run and loves being in the garden. 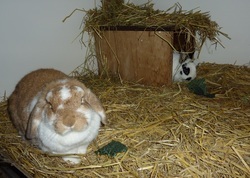 Archie (male) - 4 year old ginger and white lop. He is very friendly and will lick your hands and let you give him nose rubs. Very mischievous! :) Archie does not like being picked up but, once in your arms, he is easy to carry & handle.